← Why Transcribe Strauss Four Last Songs? The Wellington Wind Symphony (WWS) has a unique offering for its next concert, Wind Symphony Whimsy. A new concerto by acclaimed Canadian composer and Elmira resident Michael Purves-Smith, entitled The Seven Deadly Sins for Alto Clarinet and Wind Ensemble, will be the featured work. Soloist Steve Fox will perform on a beautiful alto clarinet which he built himself. The WWS is delighted to be a part of this great collaboration between composer and performer, and to share the story of its creation. This is the first concerto for this instrument with wind ensemble and it follows only one other with a modern orchestra, yet the instrument has a history as long as that of the much better-known soprano clarinet. Mozart loved the alto-range clarinets and wrote his incomparable Concerto for Clarinet for a similar instrument. However, since the beginning of the 20th century the instrument has most often been found performing a generally disregarded inner part in bands. Composer Michael Purves-Smith, however, regards the alto clarinet as perhaps the best of the whole wonderful clarinet family. The range of its tone colour is extraordinary, and perhaps no other instrument can boast such tonal consistency over its extraordinary four-octave range. The instrument has found a new champion in the soloist for this concert. 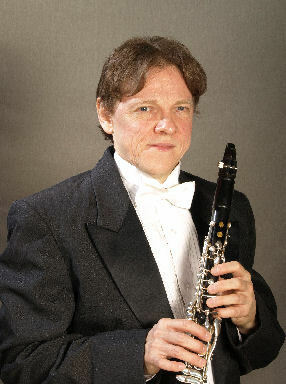 Steve Fox is not only a distinguished clarinet soloist, but he also has an international reputation as a clarinet-maker, building superb instruments that are played by the likes of Joaquin Valdepeñas, principal clarinet of the Toronto Symphony. Fox earned a Master’s degree in theoretical plasma physics before turning to a career in the clarinet world. He brings those skills to understanding the acoustics of the instruments he builds with spectacular success, as in the alto clarinet that he will use to perform this concerto. Fox is also an important historian of the clarinet family; he builds instruments over an astonishing gamut from copies of historical instruments to modern experimental instruments. When one considers that he is also a go-to repairer of the clarinets in orchestras around the world, it is fair to say no other individual has ever mastered such a profound and wide-ranging command of his chosen instrument. 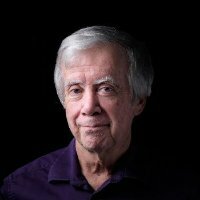 For composer Michael Purves-Smith, retired from the Faculty of Music at Wilfrid Laurier University and WWS music director emeritus, writing a concerto for such an instrument and player was a daunting task. Purves-Smith has often turned to narrative as a means to draw disparate musical threads into a pleasing and convincing whole. His wife and WWS clarinetist Shannon suggested the Seven Deadly Sins. The idea held promise, so Purves-Smith set to work. Each of the sins imposed its own demands, some obvious, such as Sloth, and others such as Avarice, much less so. We expect the audience to be both beguiled and entertained. Most importantly, they should come away from the performance feeling that they have been a part of something both unique and beautiful.